Click here to see appointment options! Acupuncture has been in wide use since its early discovery - over 3000 years ago! It originated in China, then spread throughout the Orient, Russia, Europe and many other areas, including only since the late 70's, the United States. With 30 centuries of continual use and development in the treatment of billions of people, acupuncture has been perfected to a safe, painless and effective treatment with virtually no unpleasant side effects. Acupuncture is clearly an effective treatment for many conditions. The United Nations has taken note of the ability of acupuncture to treat pain and illness. Through scientific research, the U.N. has confirmed that acupuncture is beneficial in the treatment of over fifty various conditions. See a list of the most commonly treated conditions and learn much more about acupuncture at our FAQ page. *A relatively new advance in acupuncture is Neuro-acupuncture. Neuro-acupuncture has been in development in China for the last 40 years, integrating traditional principles of acupuncture with the latest scientific understanding of neurological diseases. Paralysis, Pain, Spasms and Seizures, Speech Problems, Gynecological Problems and many more conditions that originate in the brain, spinal cord and nervous system, can be treated easily and very quickly with this new method. You may be advised to take herbal supplements in addition to your acupuncture treatments. These are prescribed according to the same system of diagnosis as acupuncture and are generally taken in the form of pills or tea. There are many simple exercises that can have a profound effect on your health. Tai Chi and Qi Gong consist of gentle physical movement combined with breathing and visualization. 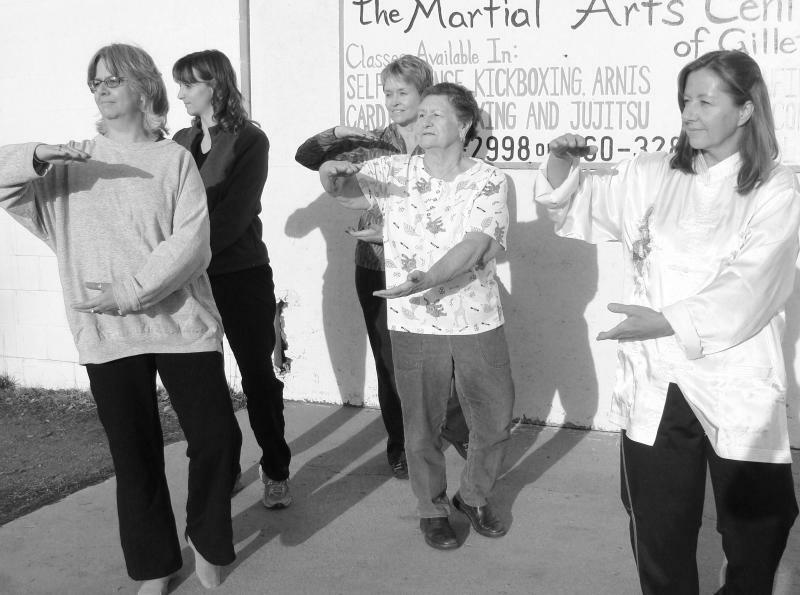 You may be taught simple Qi Gong exercises for your specific condition or you can sign up for Beginning Tai Chi. Classes are held Tuesday evenings at 6:30 pm.